Log into your order tracking here. Can I change my delivery address? When placing an order, please Log in or Register for an Atom Retro account to use the address book facility. You cannot change your delivery address if you check out as 'Guest'. If you have already placed your order, please contact us to change your delivery address. Changes made to your address book will not update any previous orders already placed. Please note, we may not be able to change any delivery details once your order has been despatched. How do I return an order? Log in to your order here to get a returns number. Please see our returns policy info here. Please see here for our delivery information. We endeavour to answer all emails within 24 hours (Working days only). Monday - Friday, 9.00am - 5.00pm. Free UK Standard Delivery on orders over £75! Sorry, this item is currently unavailable. Sign up below and we will notify you when it becomes available. 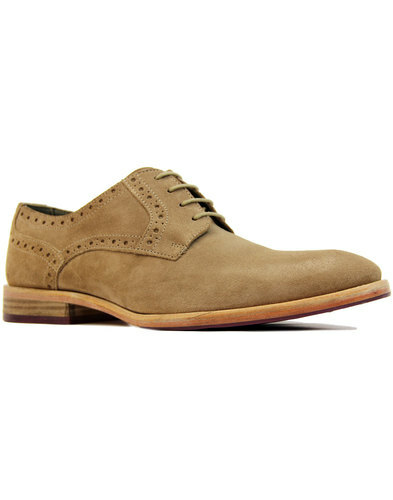 Delicious Junction 'Upsetter 3' Retro Mod brogues. The 'Upsetter' was an absolute classic from Delicious Junction and now for SS16 they are back and have been updated with more fab 60s Mod style! The brogues conjure up a nostalgic Sixties vibe whilst at the same time affectionately reflecting on the Mod Revival and Britpop Indie era. 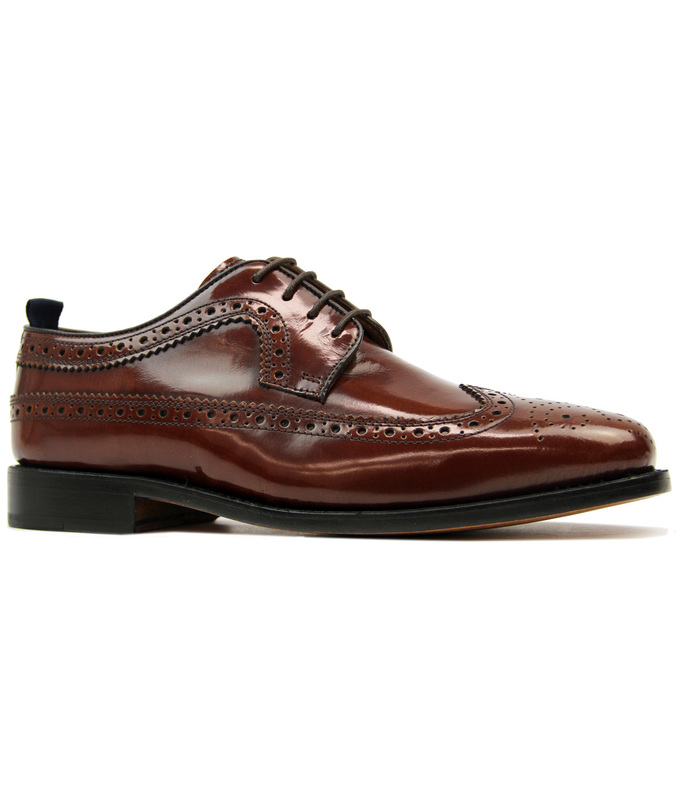 Delicious Junction 'Upsetter 3' Retro Mod brogues in chestnut. Classic Mod punched brogue detailing to upper - these long wing brogues come complete with leather sole, an optional set of contrast Retro navy laces as well the traditional black laces. 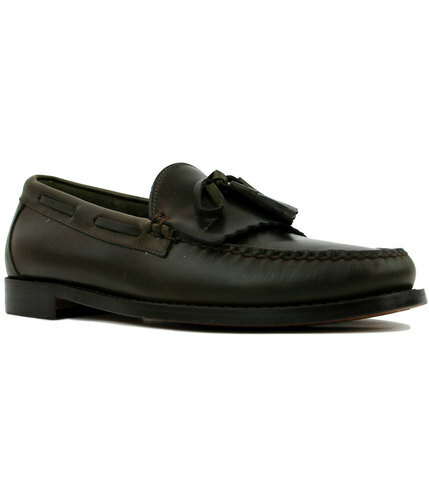 The ultimate Mod Revival shoes with a stylish and contemporary Indie edge. 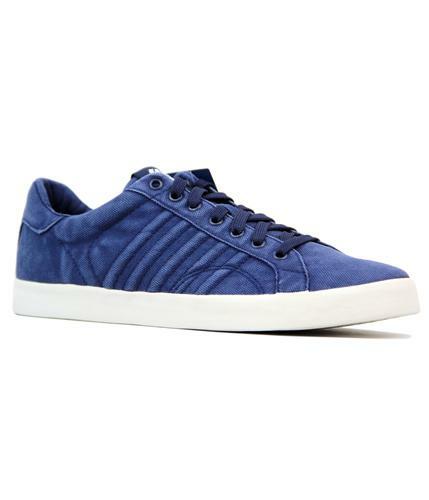 Textile and leather lining, classic block heel. Contrast navy tab to back. Key Points: Delicious Junction 'Upsetter 3' Retro Mod hi shine long wing brogues with punched brogue detailing. Composition: Leather upper and other outsole. * Terms & Conditions apply. See here for full delivery info. Delivery via DHL or DPD Courier within 2 - 6 working days (most destinations). FREE for orders over 90.00 GBP * (most destinations). * Terms & Conditions apply. See here more delivery info. UK Customers: If you are not completely satisfied with your purchase, simply return the items to us in their original condition and packaging within 30 days of receipt, and we will issue a full refund (excluding original delivery charge), or exchange the item for a different size / colour, if preferred. You are responsible for returning items to us. Items marked with a + symbol in the title cannot be returned. International Customers: If you are not completely satisfied with your purchase, simply return the items to us in their original condition and packaging within 30 days of receipt, and we will issue a full refund (excluding original delivery charge). Unfortunately we're unable to offer exchanges on international orders. You are responsible for returning items to us, however we do offer an optional returns service for some destinations for your convenience. (You can return with the carrier of your choice if you prefer). You will be responsible for the cost of returning items. Please click here for more info about international returns. Not got an account? Sign Me Up! Please login below to add this product to your wishlist. Not got an account? Sign Me Up! Lost Password? Grab a new one.